Birthdays are always cause for celebration but when your business is beer and it comes time to celebrate another year of bringing delicious, locally crafted brews to your market you better throw a helluva PARTY! Drekkerfest 3 is just around the corner and the fun loving, hard working crew at Drekker Brewing is getting ready to throw the biggest party the brewery has ever imagined. With a third year that was full of excitement and expansion, they certainly have much to celebrate as they look back on a year of massive growth and several milestone moments. In just three short years, Drekker has really started to hit their stride, and this year in particular has been a big one for them. Their taproom now features a robust lineup of four (soon to be five) sours, and a variety of IPAs, as well as the original recipes like Broken Rudder and Pillager Porter that got them going in the beginning. Not at all comfortable being stagnant, and like any proud band of Vikings, they are looking to conquer new ground through their Valhalla series and Brain Freeze series and their new canning line is seeing more and more action as they work towards fulfilling an ever increasing demand for their packages in both the tap room and offsales in the local market. Things don’t seem ready to slow down anytime soon, as they begin to bring canned beer into Grand Forks, Bemidji and several Twin Cities locations and it all brings me back to where things were a year ago as they prepped for Drekkerfest 2. 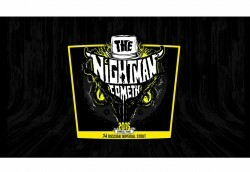 It was right around this time last year that I was sampling two of their newest creations; Millions of Peaches and Wheeze the Juice as well as sneaking an early taste of their whiskey barrel aged Russian Imperial Stout: The Nightman Cometh. This year, in addition to a tiny taste of this year’s “Nightman” (aged in a mix of barrels that now includes Minnesota distillery Far North Roknar rye barrels), I also got a sample of their newly released Ectogasm IPA, a slightly hazy IPA loaded with Mosaic and Citra hops to give it a huge juicy tropical flavor. While a very small amount made it outside the taproom to local liquor stores, it was sold out almost immediately but fear not! There is another batch on the way and you should expect plenty of Ectogasm in cans and on tap at Drekkerfest 3. 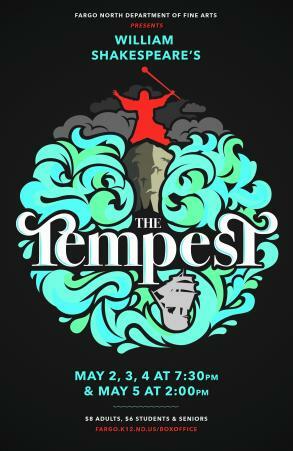 For this year’s fest there are plans to launch not only another beer but a first in a new series of brews that was originally imagined as a joke about putting all of the trendy styles of craft beer into one ridiculous brew. While I am sure they had plenty of laughs when coming up with the idea, it then mutated into a well-rounded concept that, to me, sounds incredible and loaded with possibilities. They didn’t have any samples available for me on the day of my visit but the description and artwork tickled my brain and piqued my interest. “Is it a smoothie? Is it a beer? Something to make the beer purists’ skin crawl? Sure, all of those, we suppose. The description I got from Jesse and Mark at Drekker poses more questions, that will only be answered once I get some in my mouth and thankfully, September 16th is coming up soon. There will also be their Oktoberfest beer, Hausterhosen, and several specialty casks on hand, so show up early to make the most of the event. Great food and entertainment are always essential to any party and Blackbird Pizza will be on hand again this year to satiate your desire for munchies. They recently recorded a new studio album which won’t be out until September 29th but songs from “Destroyers of the Soft Life” are sure to make it into the setlist and are already getting some great attention from the likes of Rolling Stone and Billboard. Joining them on the bill are fellow Richmond, Virginia rockers, Sleepwalkers. The brewery is already getting calls from locals and out-of-towners who are in the know and at first confused, but want to make sure that J Roddy is really playing in Fargo so you best get to Eventbrite now to snag your tickets before they sell out.